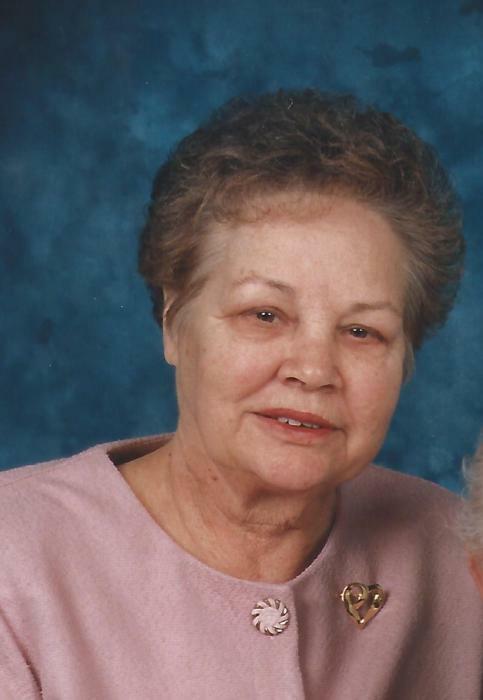 Clara Truesdale Hammons, 83, of Winnsboro passed away on Friday, January 18, 2019. Born in Winnsboro, she was the daughter of the late Cole Blease and Lillie Mae Sellers Truesdale. She is survived by her two daughters, Susan Harper Mincey and Debbie Harper Penn; two brothers, Coley “Jay Bird” Truesdale (Betty Jean) and Charles “Charlie” Truesdale (Debbie); two sisters, Tiny Mae Branham and Betty McGinnis (Jerry); three grandchildren, Marvin Gibson (April), Lacy Melvin (Wes), and Nicholas Penn; six great grandchildren, Summer, Kandice, Alyssa, and Xander Gibson, Cole and Molly Kate Melvin; and one great-great grandchild, Tate Williamson. In addition to her parents, Clara is predeceased by her husband, Eathel Ray Hammons, Jr.
Funeral services will be held at 3 o’clock PM Monday, January 21, 2019 at Pope Funeral Home conducted by Reverend Harry Varn. The family will receive friends one hour before the service at the funeral home. Committal will follow the service at Stephen Greene Memorial Gardens. In lieu of flowers, memorials may be made to the American Heart Association, 190 Knox Abbott Drive, Suite 301 Cayce, SC 29033 or to the American Cancer Society, 200 Center Point Circle, Suite 100, Columbia SC 29210.